China was the only country in the world to unveil a brand new main battle tank (MBT) last year. First teased as a scale model in arms shows and then on defense conglomerate Norinco’s website, the MBT 3000 was displayed to the public during the 2014 Zuhai Air Show. The development of Chinese MBTs in the last 25 years is nothing short of incredible. 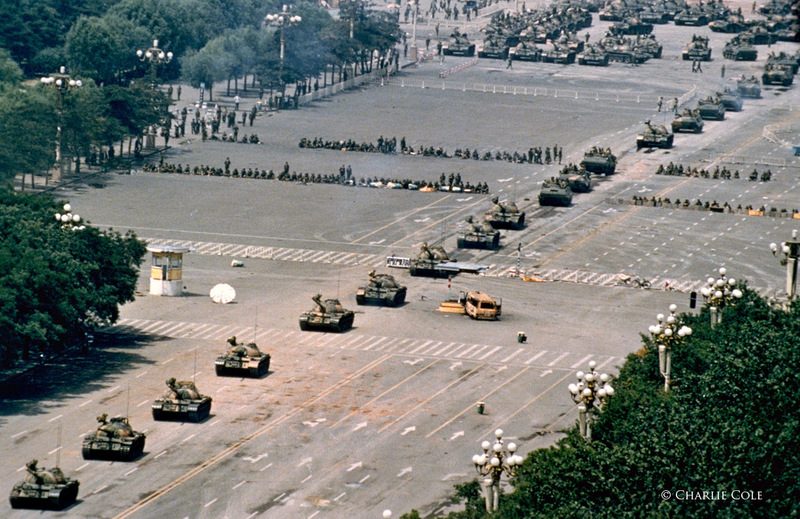 When the Communist Party cracked down on the Tiananmen Square protesters in 1989, the PLA deployed scores of Type 69’s, an obsolescent model compared to the third-generation MBTs used by NATO and the ailing Soviet Union. The ensuing quarter century would be a game of catch up. The PLA together with powerful state-owned enterprises copied and adapted their way to near-equal status with Western technology. 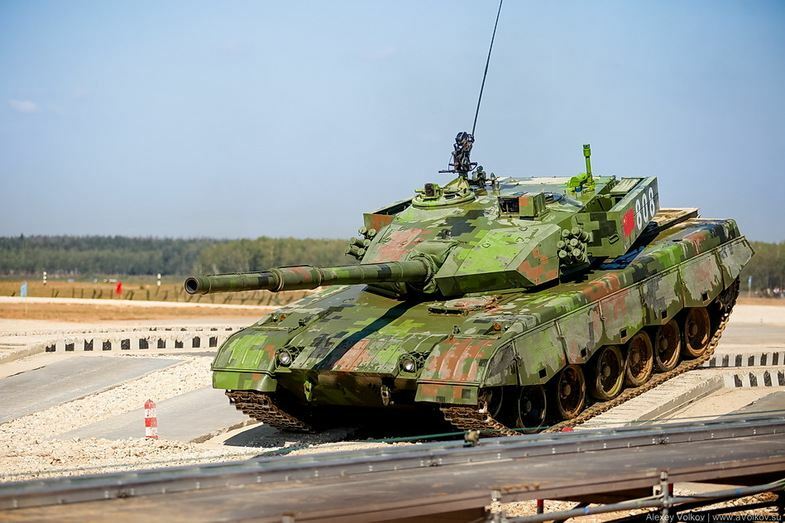 The irony is, despite a rising defense budget, the PLA still maintains unknown numbers of its older tanks even if their armament and electronics have been upgraded. When tank inventories around the world are shrinking, the PLA continue to field new variants for its combat brigades. Here is a chronological survey of Chinese MBTs from the 1950s to the present. The Sino-Soviet split in 1960 doomed the Chinese economy, and the PLA by extension, to technological backwardness. Despite having thousands of tanks, including the 500 horsepower Type 59 with its 100mm smoothbore gun, the Cultural Revolution’s excesses and the resulting decline in China’s industrial output meant the PLA’s modernization wouldn’t be realized for the next 20 years. In this undated photograph scoured from the depths of Google a Type 59 equipped with a massive 120mm gun is advertised. Aside from a Type 85 12.7mm machine gun and a radio antenna on the turret, no other improvements are visible, which suggests the tank’s dismal armor protection is intact. A high estimate of Type 59 production numbers could reach 10,000. If the Type 59 enjoyed any success, it would be as an export to third world customers like Iran, Iraq, Albania, and Bangladesh, as well as several African countries. It remains a mystery what kind of requirement inspired the Type 62’s production. 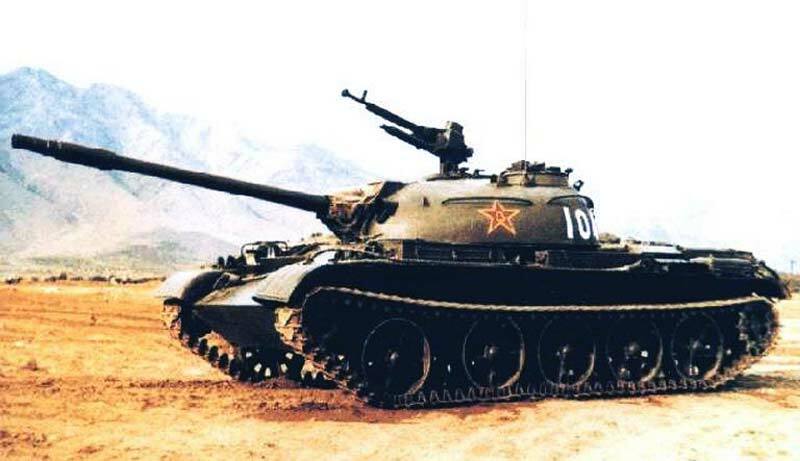 Not to be confused with the Soviet T-62, which served as a stepping stone to current Russian MBTs, the Chinese Type 62 weighed approximately 21 tons. Or as much as a contemporary wheeled infantry fighting vehicle (IFV). Obviously introduced during the first half of the 1960s, the Type 63 is a Russian PT-76 built according to PLA-spec. This is why its original version featured a large hull mounted with the dome-shaped turret of a Type 62. 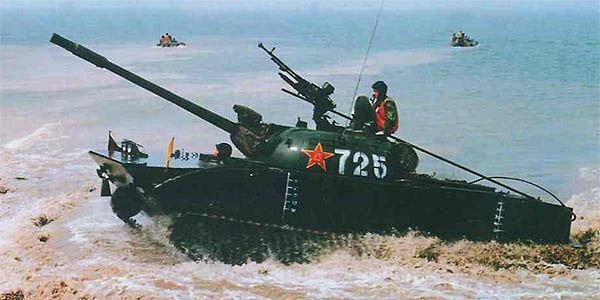 It must be emphasized that the Type 63 is an amphibious tank and not a troop carrier, a role occupied by the modern ZBD-04. An undated photo of the original Type 63 during exercises, presumably in the 1980s. Along with much of the PLA’s capabilities, its combat record is thin, if nonexistent. The Type 63 has beaten the odds, however, and continues to serve the PLAN’s marine infantry with a new angular turret and a 105mm smoothbore gun. When China’s state-owned factories successfully developed an indigenous MBT, it still copied an existing model (the original T-55) and trailed behind its peers. 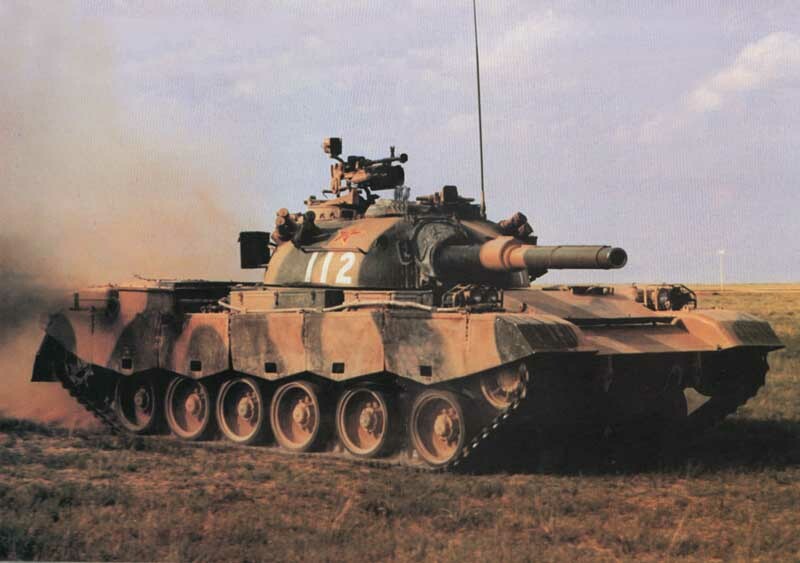 By the late 1960s, NBC protection, air-conditioning, main gun autoloaders, laser rangefinders, and computerized fire control systems were mandatory among tanks. The Type 69 lacked all these and its improvements were superficial, like an external infrared spotlight and rubber side skirts, the latter marking the start of what is now a tradition among Chinese MBTs. The Type 69 was slowly improved over the years and represented a peculiar watershed in Chinese tank engineering. Exported to third world countries, in the previous decade both Pakistan and Bangladesh resurrected the Type 69. In Bangladesh’s case, a Chinese 105mm main gun is installed in the turret, which is hardened by add-on armor plating. An imported 1,000 hp Ukrainian diesel engine boosts its speed by a small margin. Owing to its affordable price for third world defense budgets, the Chinese Type 69 is a veteran of several regional wars in the Middle East and Africa. It’s also a symbol of Beijing’s repression for its role in the 1989 Tiananmen Square massacre. With the US and China’s growing rivalry over the Asia-Pacific a fact of life today, it almost sounds ludicrous that the two world powers used to enjoy cordial relations. So much so that once upon a time, during the 1980s, the US planned on selling arms and dual-use technology to Beijing, ergo the PLA. This blossoming partnership was terminated by a UN arms embargo in 1989, which made China a huge customer for the late Soviet Union and Russia instead. The brief US-China dalliance had a considerable impact on the PLA. Not only were two dozen Sikorsky Blackhawk’s delivered to the air force, a US-style 105mm gun suddenly appeared on Type 59 and Type 69 tanks. Now about the Type 80. Never built in vast numbers, the Type 80 is remarkable for its hull’s six road wheels and larger dimensions. Aside from obvious external differences from preceding models, its various subsystems and crew equipment are unknown. But it does bear a shocking resemblance to Romania’s TR-85 tank. After undergoing further upgrades the Type 80/88 proved a success in the long run since it was used as the basis for the Type 85 and later the Type 96. 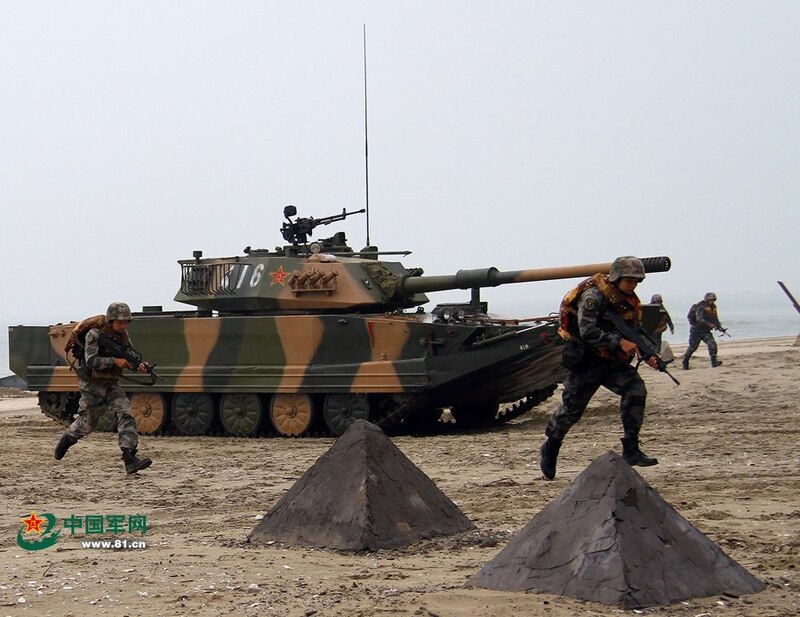 The arrival of the Type 85 signaled a new era for the PLA’s ill-equipped ground forces. 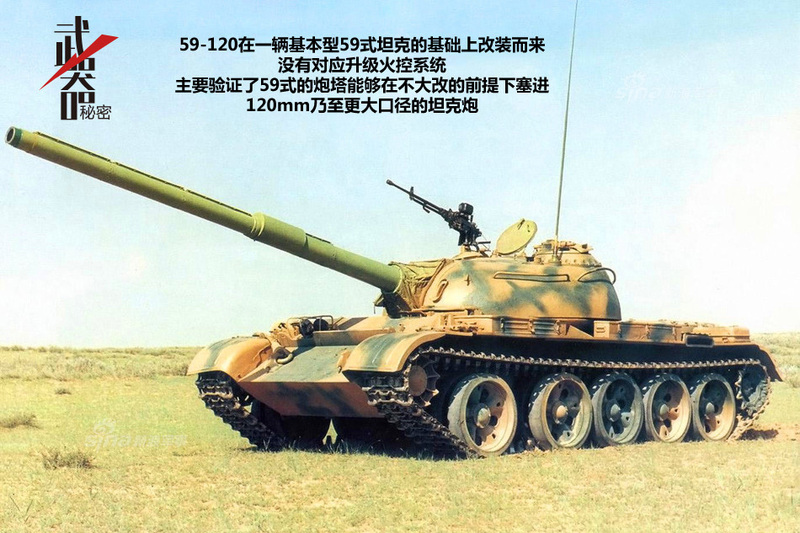 It might be convenient to compare the Type 85 to the Russian T-72 but upon closer inspection, both tanks share specific features but are very different. For the Type 85, the hull of the earlier Type 80 was used to support an angular rather than circular turret armed with a 125mm gun patterned after the ubiquitous Soviet 2A46. Having acquired the means to produce autoloaders for main guns, the Type 85 packed a real punch. Like the Soviet T-64 and the T-72, it supported a crew of three. A new fire control system, smoke grenade dischargers, NBC protection, and a 730 hp engine–not to mention the familiar rubber side skirts–brought the Type 85 closer to its Western rivals. The tank was originally offered to Pakistan as the Type 85-IIM but it was never adopted in large numbers. As the Type 85 progressed, a new lightweight 12.7mm machine gun on the turret replaced the old-fashioned DShK clone preferred by the PLA. Sudan was the only other international customer of the Type 85 and renamed them the Al Bashir. The most advanced MBT fielded by the PLA marks the final evolution of the Type 69, whose hull became the basis for the Type 80, which became the Type 85 that was improved with the Type 85-IIM and the short-lived Type 90 until the Type 96 arrived in the mid-1990s. The single thread connecting these vastly different tanks is a glaring external feature: the driver’s hatch to the left of the main gun. And the rubber side skirts. Exactly why Norinco maintained the driver’s position is unknown, but it’s compelling proof that the PLA are keen on constantly improving their legacy systems. The improved Type 96A is a genuine third-generation MBT with a critical weakness. During a tank biathlon in Russia, the Type 96A ran an obstacle course but was outperformed by rival T-72B’s. Why? …the type-96A tank’s innate defect in weak maneuvering power is also fully exposed during this competition. But it must be pointed out that the current power of 780hp is already the upper limit of this type of engine. If a larger engine is installed, the power cabin in the tank has to be expanded, which is a big “operation”, because it will either occupy the combat space or lead to the enlargement of the tank. …Since the price of three type-96 tanks is the same as that of one type-99 tank, the type-96 series highlights “fair price and good quality”. The commentary on the Type 96 was written by Wang Hongguang, an officer in the Nanjing Military Area Command. His point was the PLA only has access to smaller 780 hp engines and that building a lot of Type 96’s is more conomical. An estimated two thousand Type 96’s are believed to be in service with the PLA. Also designated the ZTZ-99, the younger sibling of the Type 96 marks a fresh start for Norinco in its quest to build a world class third-generation MBT. The Type 99 isn’t an improvement over the Type 96. It’s actually a better variant of the experimental Type 98 that’s based on the Soviet T-72. Having an angular turret and a broad front arc allowed additional layers of composite armor to be fitted, which brings its combat weight to almost 55 tons. The Type 99’s main difference from earlier models is its hull. Ignoring the mandatory side skirts covering the upper half of the tracks, the Type 99’s road wheels have a curious alignment. The driver’s hatch is also located beneath the 125mm main gun like on a Russian tank. 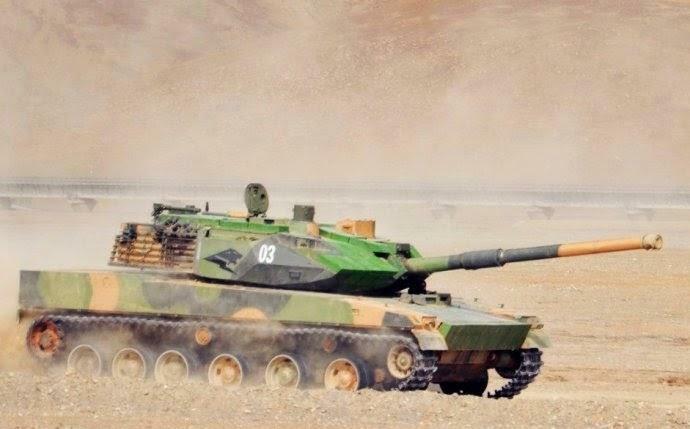 The Type 99 is considered the most advanced MBT in service with the PLA. It’s equipped with thermal sights, a digital fire control system, NBC protection, air-conditioning, GPS, an active protection system (APS) and a powerful 1,500 hp engine. The Type 99’s main armament is believed to be a gun-missile system. 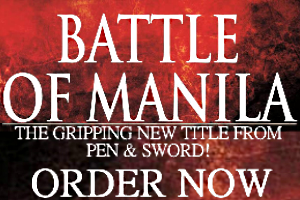 Owing to its hefty unit price, the Type 99 is available in limited numbers. Some sources claim there are more or less than 200 Type 99’s with the PLA. Having well-established markets for its arms industry, third-generation Chinese MBTs are a growing presence in various foreign arsenals. 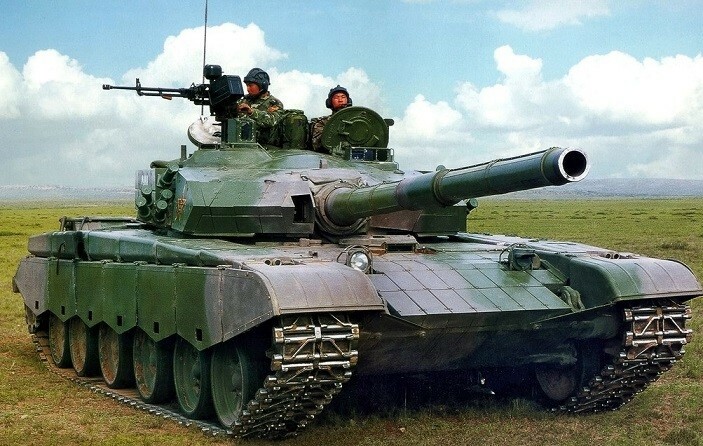 The MBT 2000 is the export version of the Type 99 and is notable for the turret’s configuration, with ERA panels flanking the main gun and slat storage bins in the rear. 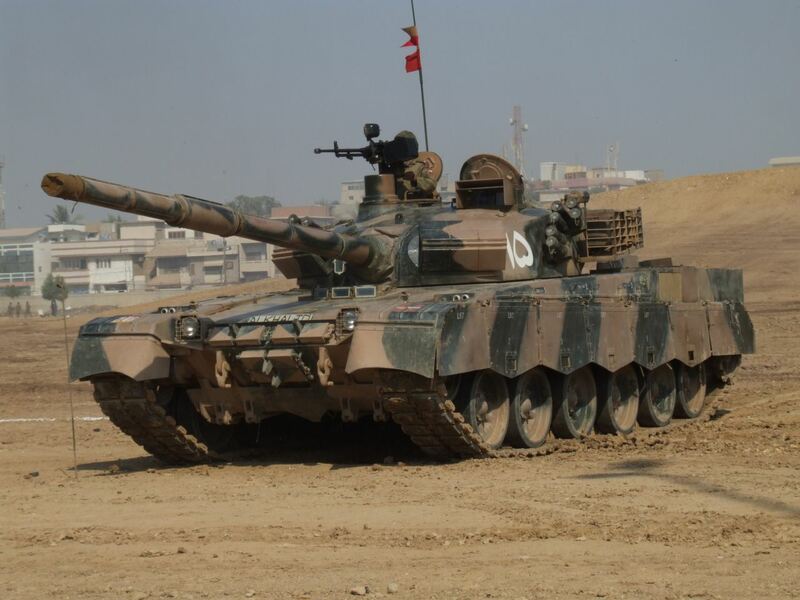 The MBT 2000 has enjoyed unprecedented success and is built under license in Pakistan as the Al Khalid. The Al Khalid manufactured by Pakistan’s Heavy Industries Taxila (HIT) quickly found export customers. Deliveries are now being made, or have been completed, to Myanmar, Sri Lanka, and Morocco, while Norinco sold an additional 44 MBT 2000’s to Bangladesh. In early 2015 undated images of a “new” PLA tank emerged. Some writers speculated it’s meant for China’s rugged northwest where it shares a vast mountainous frontier with several countries. It can’t be ascertained if this so-called “ZTQ” was R&Ded from scratch. The spacing between its road wheels suggest similarities with the Type 99, a.k.a. MBT 2000. Side skirts are absent but an elevated rear compartment indicates a larger engine, probably a 1,200 to 1,500 horsepower turbo diesel model. A driver’s hatch is visible beneath the main gun–a 105mm judging by the fume extractor’s position on the barrel–and the turret’s shape and contours reveals extensive add-on reactive armor, a digital fire control system, and smoke dischargers mounted at the rear. If the “ZTQ” is a lighter Type 99, weighing between 20 to 35 tons, then perhaps it maintains three crew, which also means it uses an autoloader. The tank now being promoted as the “VT-5” received international exposure during the 2016 Zhuhai Air Show, where new military vehicles are put on display. 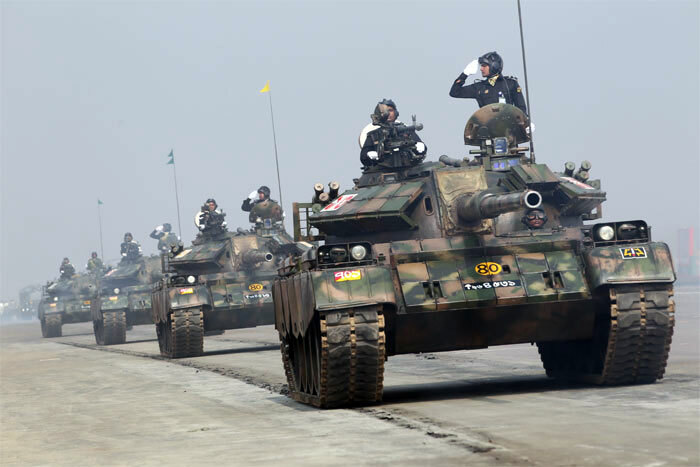 It was also a highlight at the Norinco Armor Day in 2017 where it ran a circuit before hundreds of spectators. The tank appears destined to join the PLA in Tibet and Xinjiang, where it could replace hundreds of old Type 59’s still being used by mechanized formations. Exactly why Norinco developed a new tank is hard to understand. But perhaps growing demand for MBTs among emerging markets inspired the MBT 3000’s production. The MBT 3000 is the pinnacle of Norinco’s hybrid style combining NATO and Russian features. A large angular turret reminiscent of the M1A2 Abrams sits on the hull of a Type 99. 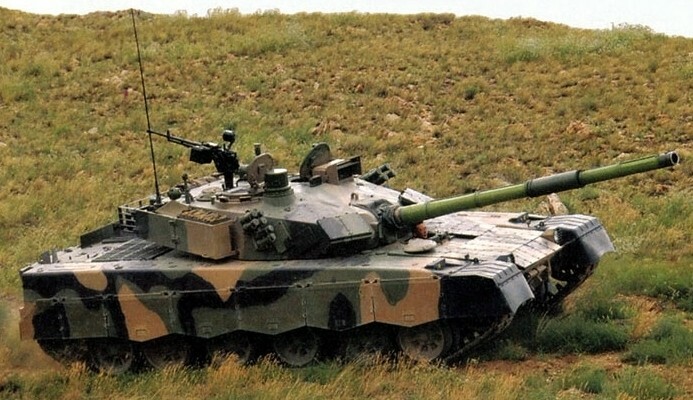 The MBT 3000 can be equipped with a remote control 12.7mm machine gun behind the commander’s hatch (pictured above) and provides excellent visibility when buttoned down. Analysts believe the MBT 3000’s 125mm main gun uses a unique horizontal autoloader. For the first time in a long while the side skirts protecting the tracks are made of sheet metal that can support ERA. Some aspects of the MBT 3000’s layout are perplexing. For example, the storage bins behind its turret are a head-scratcher. Do these support additional gear or serve as slat armor protecting a sensitive part of the turret? Judging by the picture above, the MBT 3000 comes with a large power plant that can’t possibly originate in China or even Ukraine. There is speculation it runs on a 1,500 turbo diesel engine either imported from Germany or reversed engineered from a German design. Exactly who can afford battalions of MBT 3000’s remains to be seen. Whether the PLA eventually uses it is another question. But it’s apparent that Chinese armor has finally arrived on the world stage.